A glacial lake 3 km from the town centre (towards Pau via Soumoulou). 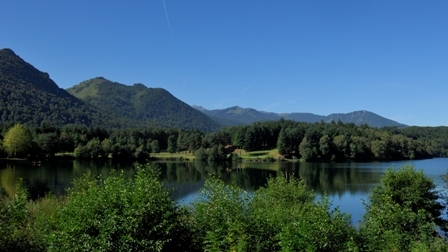 You can go walking or mountain biking, fish and play golf (18 holes). In a natural environment, a restaurant, an adventure playground for children, pedalos and a picnic area are at your disposal.